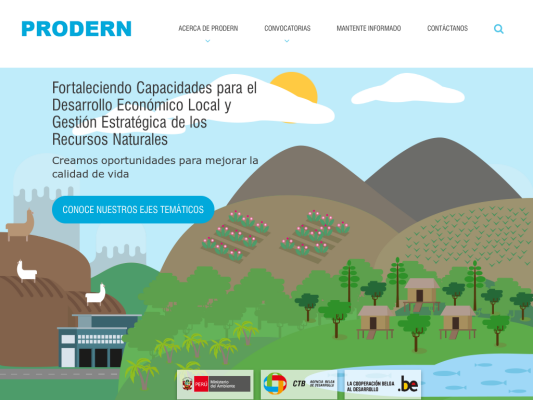 The Program for Sustainable Economic Development and Strategic Management of Natural Resources in the regions of Ayacucho, Apurimac, Huancavelica, Junin and Pasco (Peru) – PRODERN (in Spanish), is a program of direct bilateral cooperation between the Peruvian Government and the Kingdom of Belgium. The customer wanted a friendly awareness on sustainable management of natural resources site. We quickly identify how we could transform a non-profit organization in some highly visual and encouraged to generate public interest in Peru.